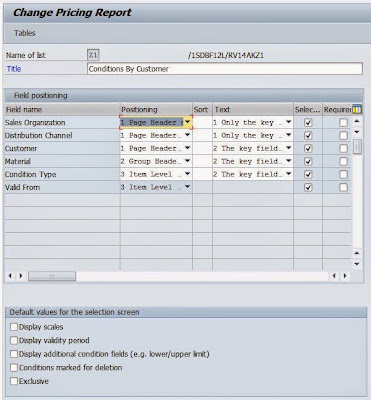 You may have a need to generate an ad-hoc pricing report showing condition records, values and validity dates - Check out this technique as it does not involve ABAP in any way - It's all done through the magic of configuration. 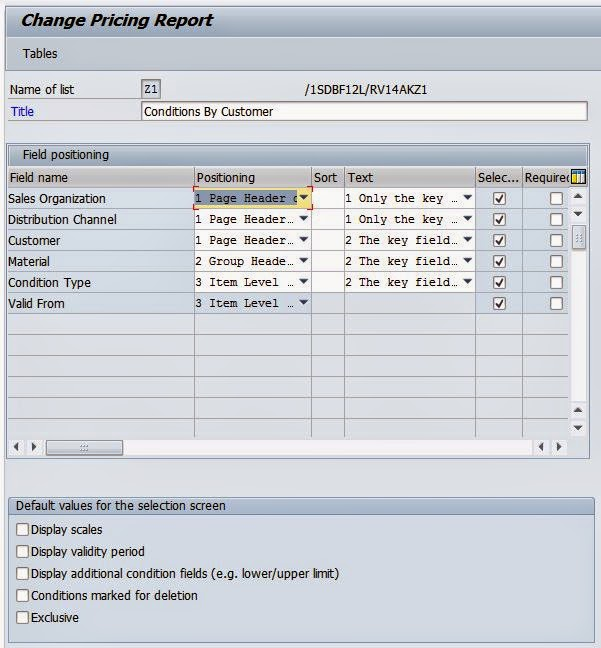 SOLUTION: SAP provides a standard solution that allows you to create a pricing report. The following took me literally 2 minutes to configure and run. Next step is to select a field that is a part of the condition table within your access sequence assigned to your condition type. Continue to select the OR or AND buttons depending on the number of fields you have selected. A list of all the pricing tables which contain the selected field will be presented to you. Select the tables for which you would like the report to extract the data.